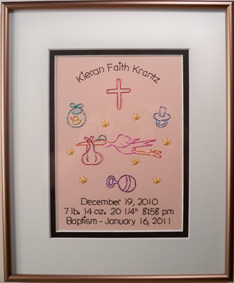 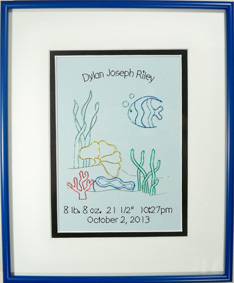 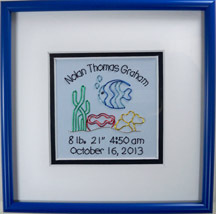 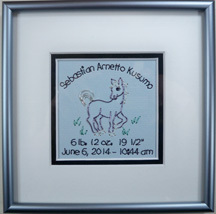 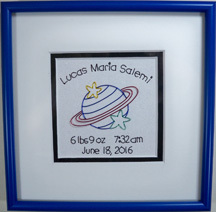 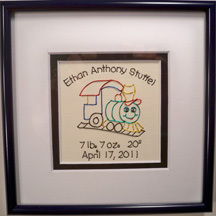 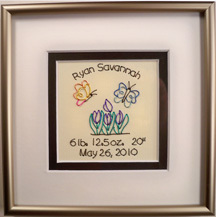 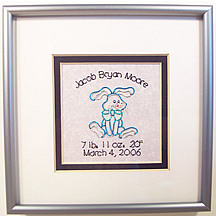 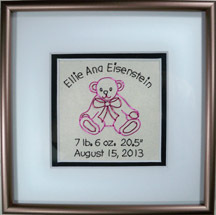 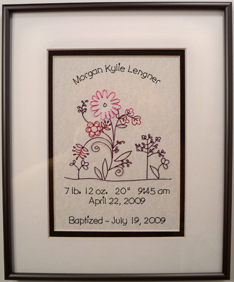 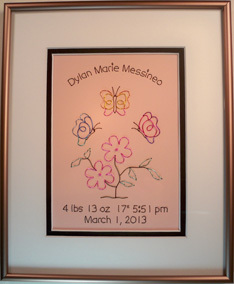 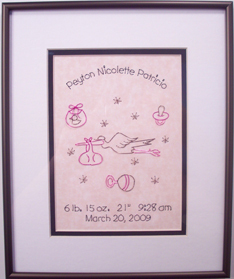 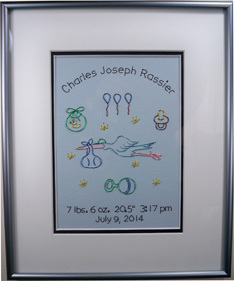 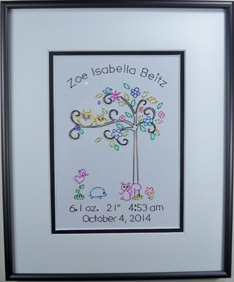 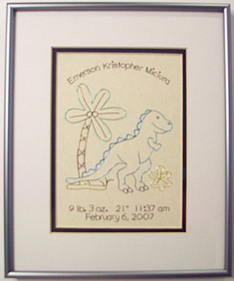 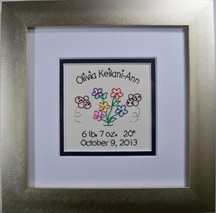 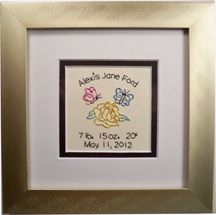 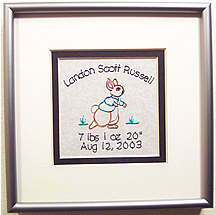 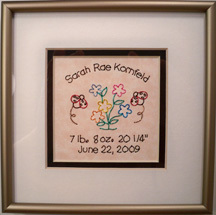 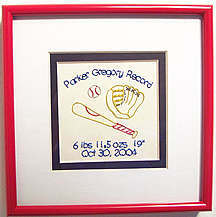 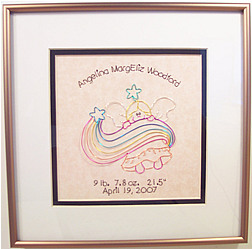 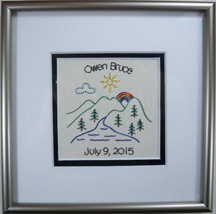 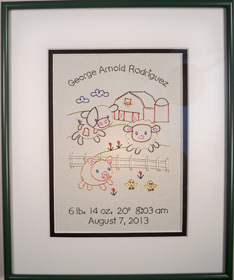 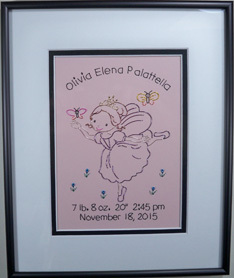 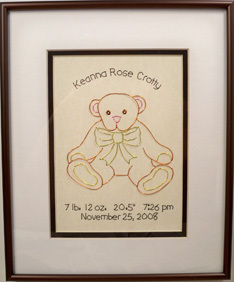 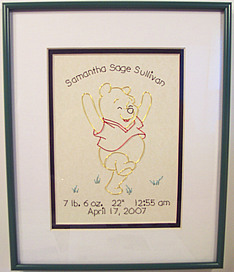 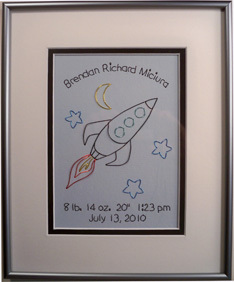 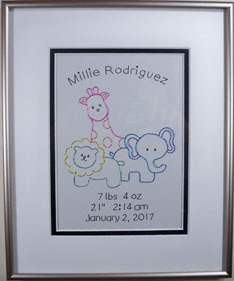 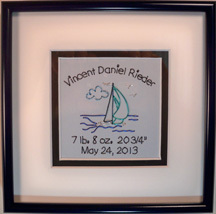 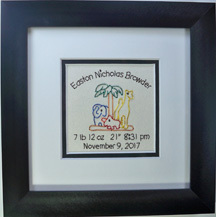 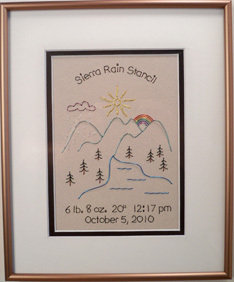 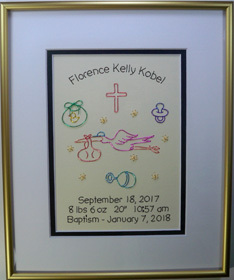 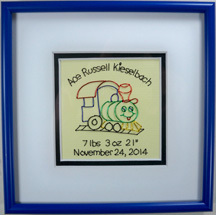 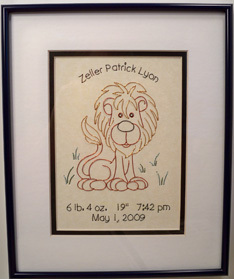 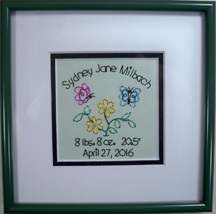 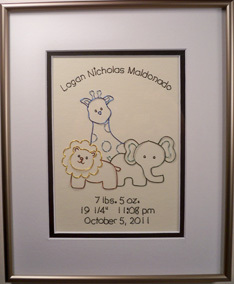 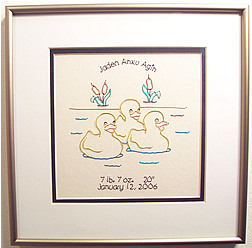 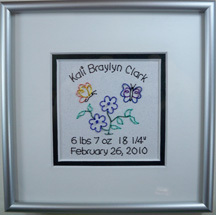 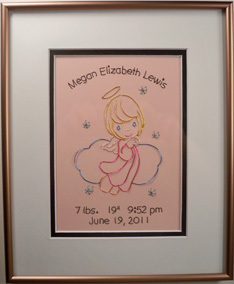 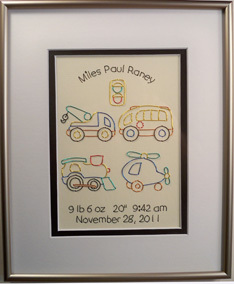 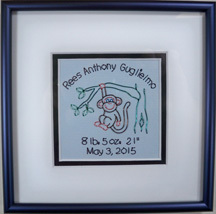 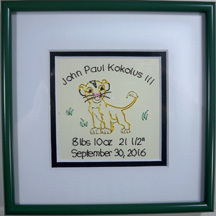 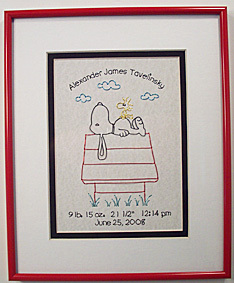 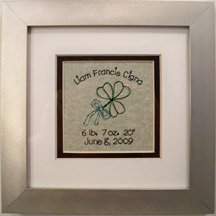 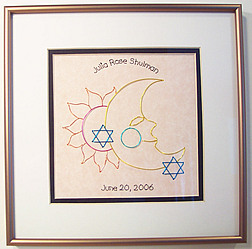 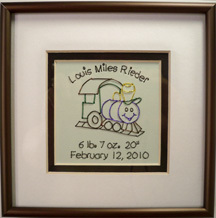 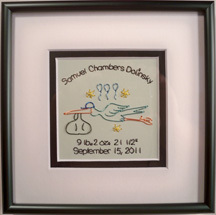 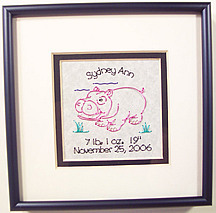 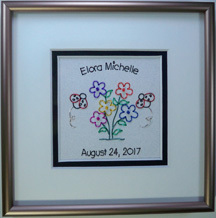 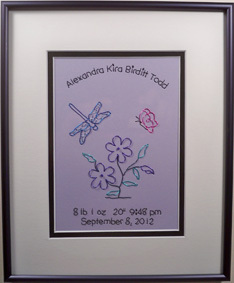 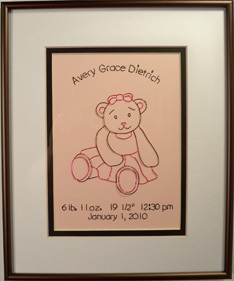 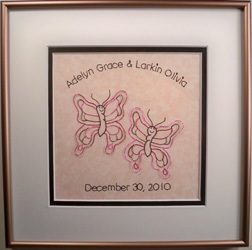 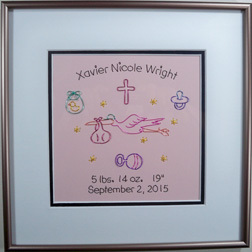 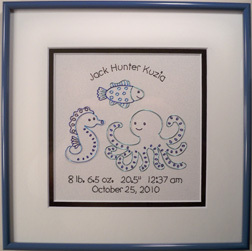 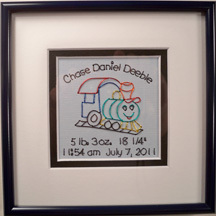 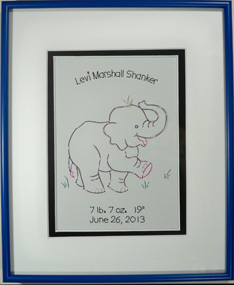 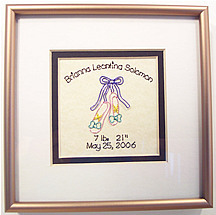 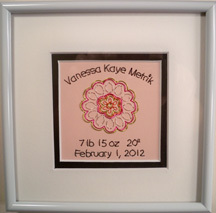 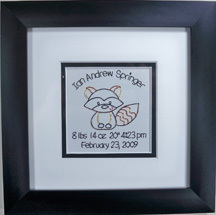 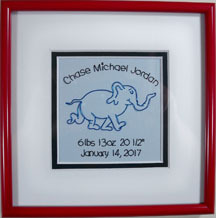 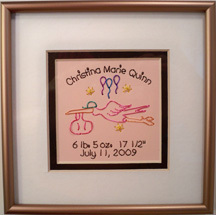 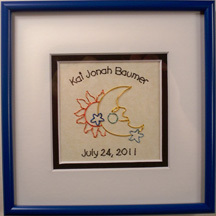 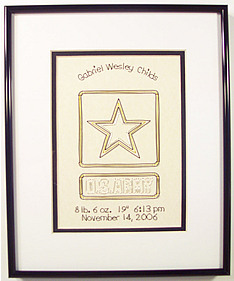 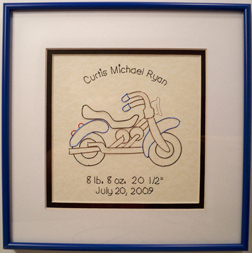 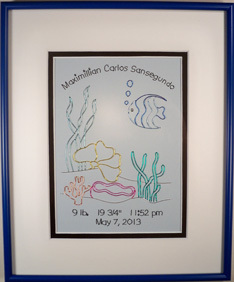 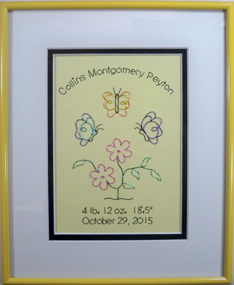 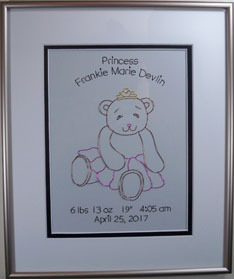 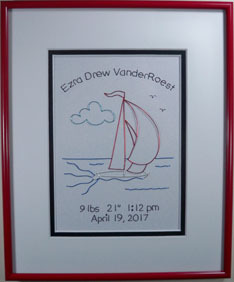 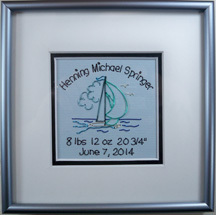 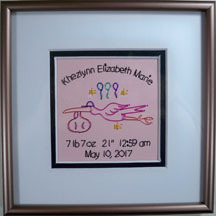 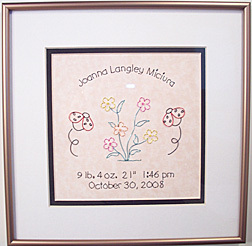 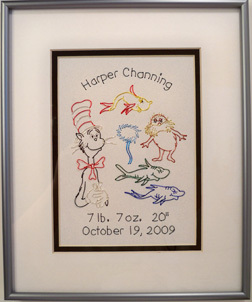 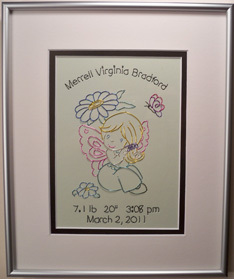 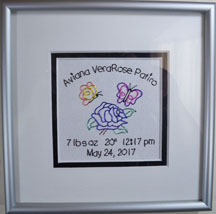 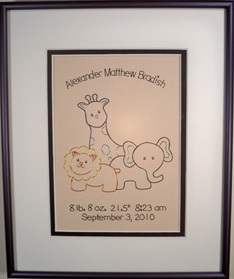 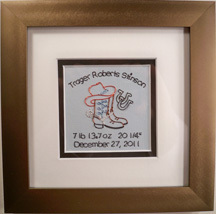 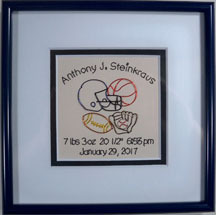 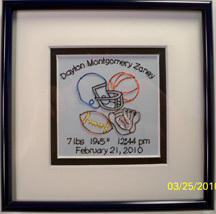 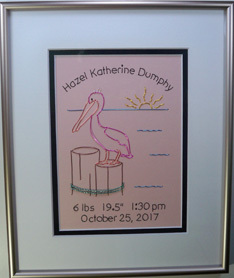 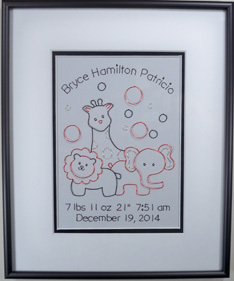 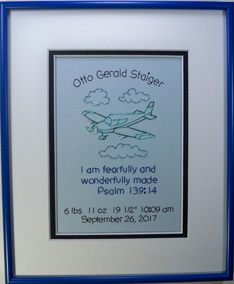 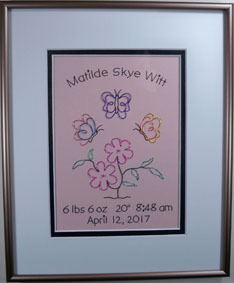 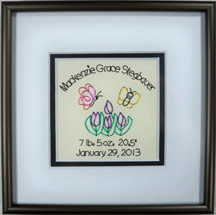 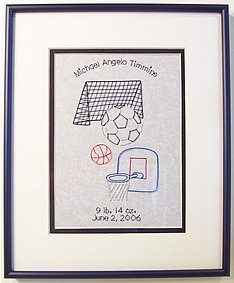 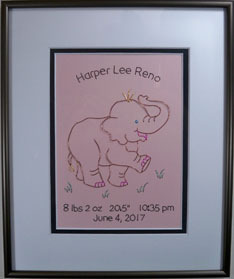 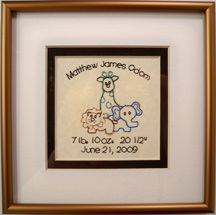 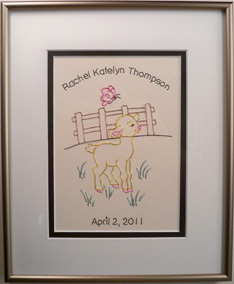 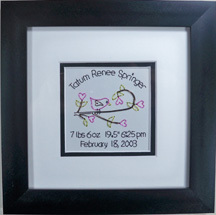 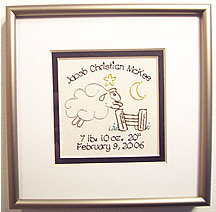 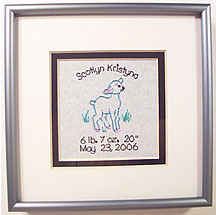 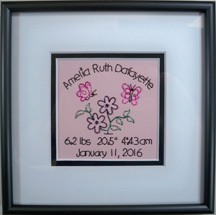 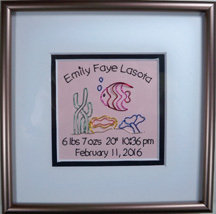 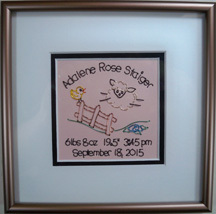 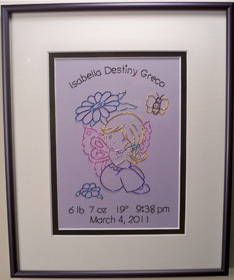 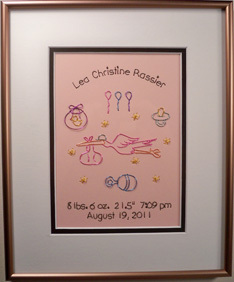 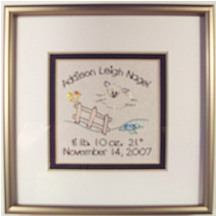 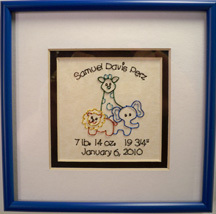 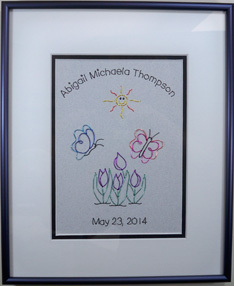 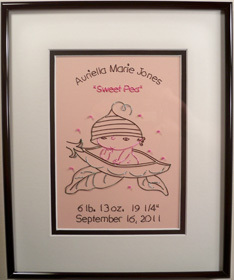 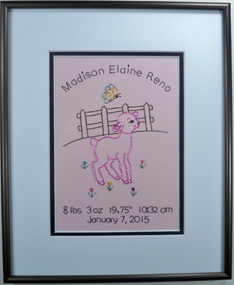 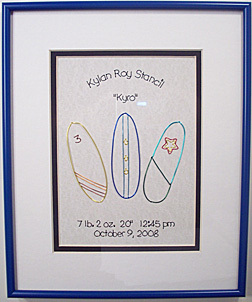 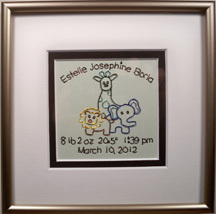 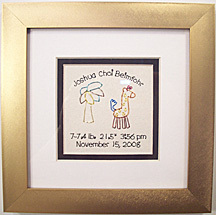 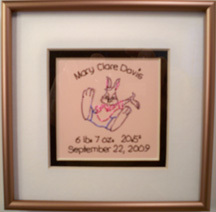 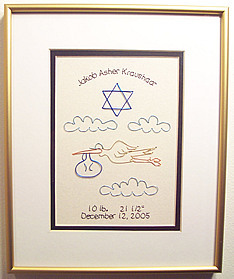 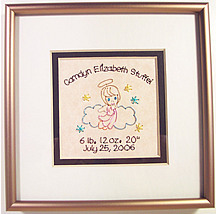 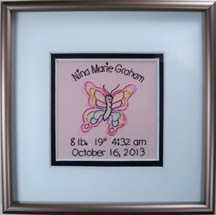 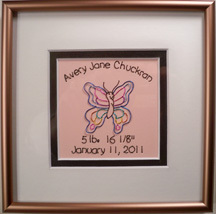 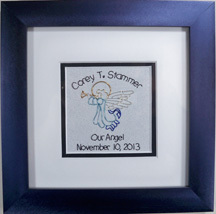 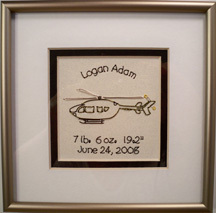 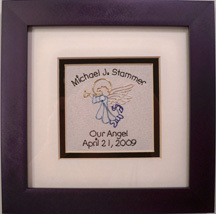 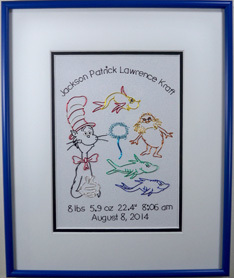 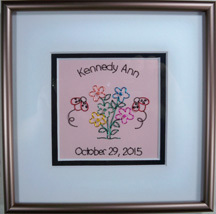 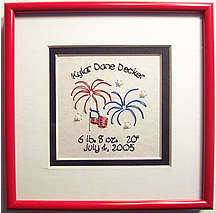 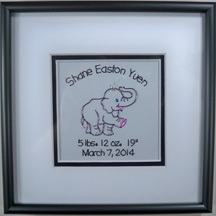 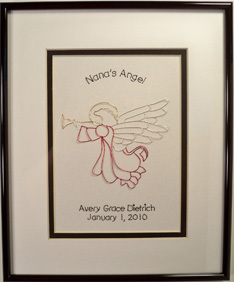 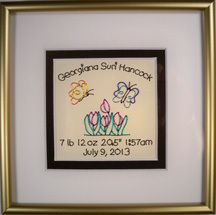 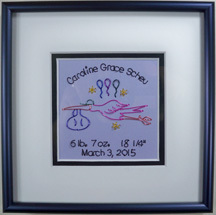 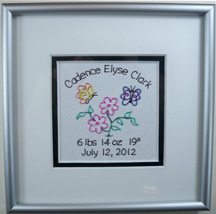 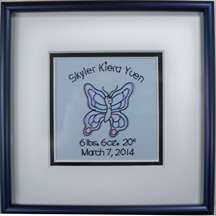 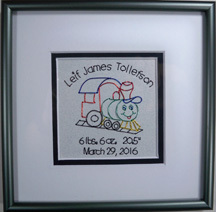 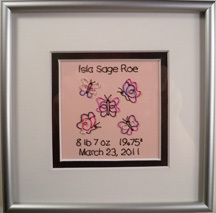 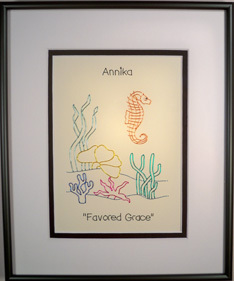 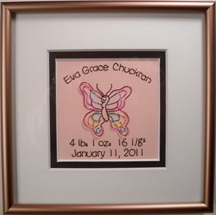 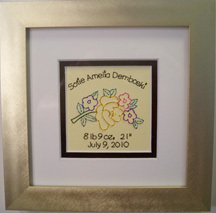 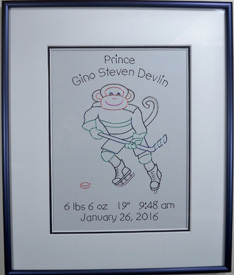 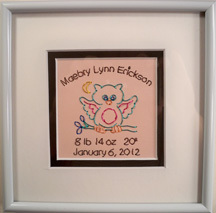 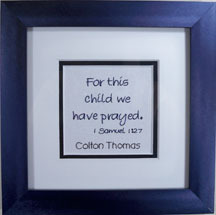 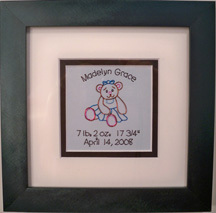 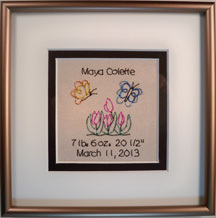 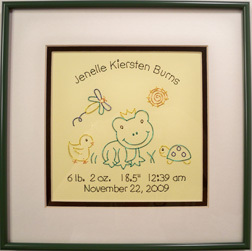 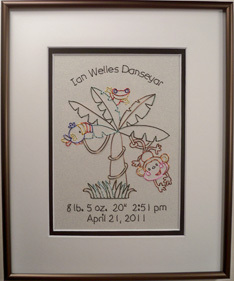 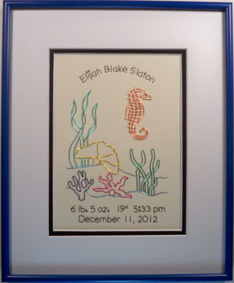 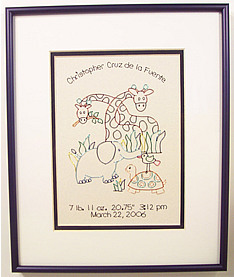 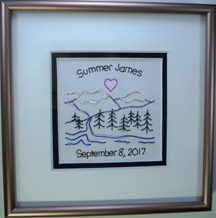 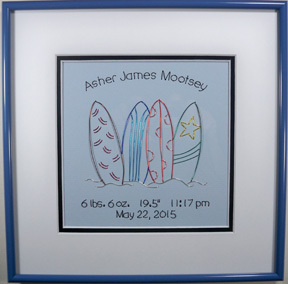 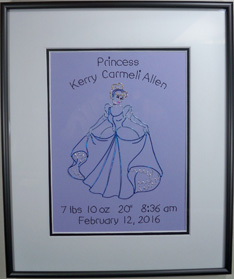 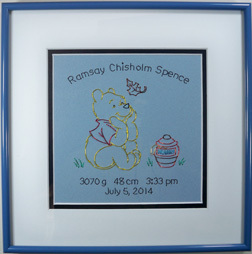 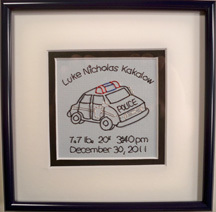 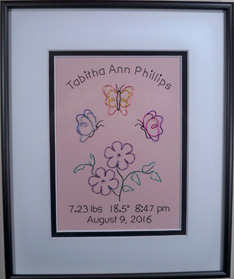 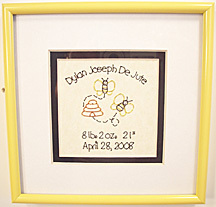 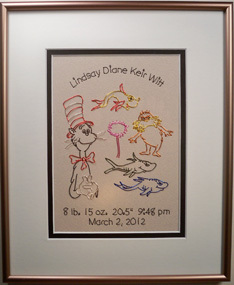 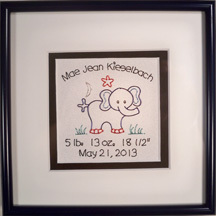 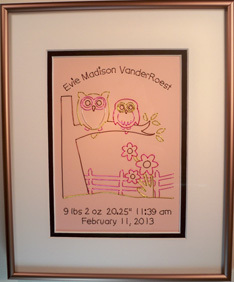 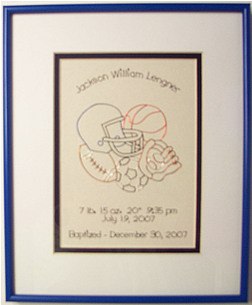 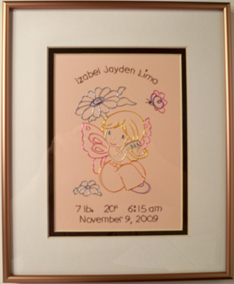 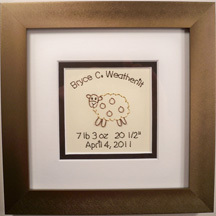 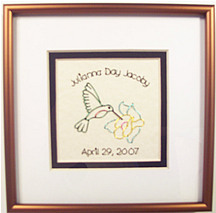 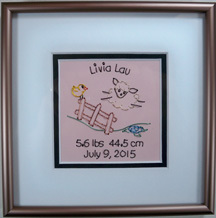 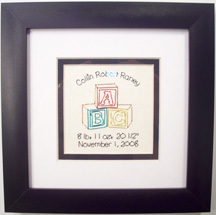 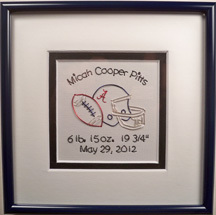 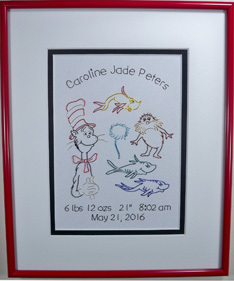 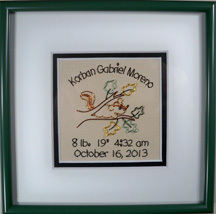 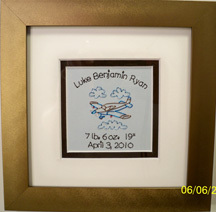 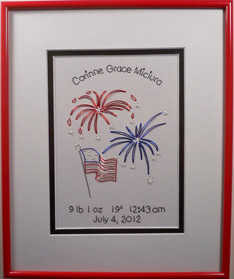 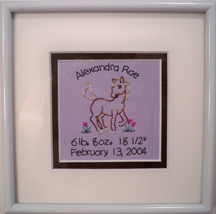 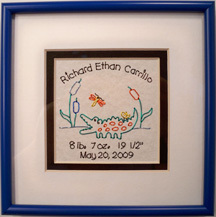 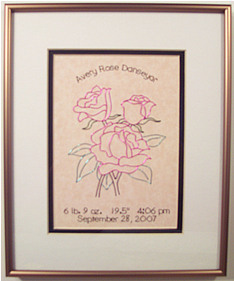 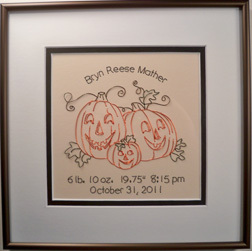 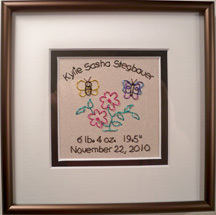 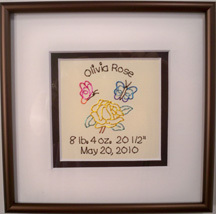 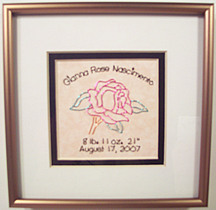 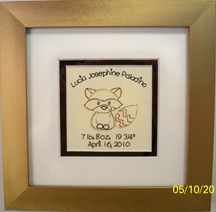 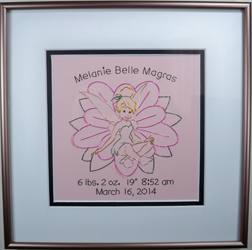 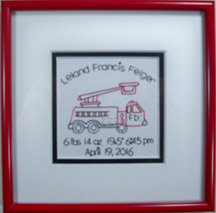 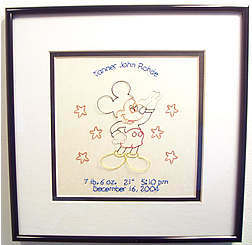 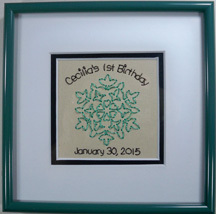 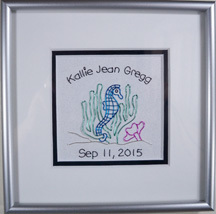 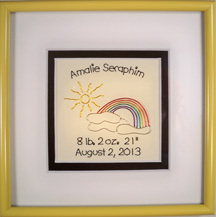 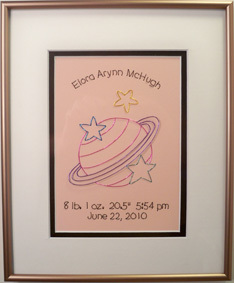 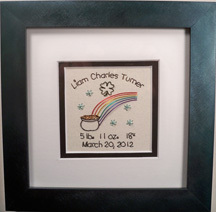 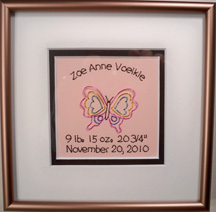 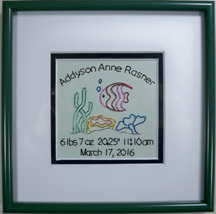 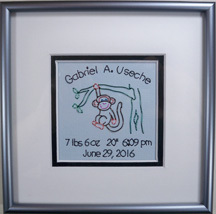 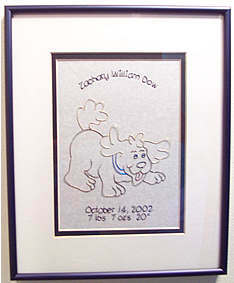 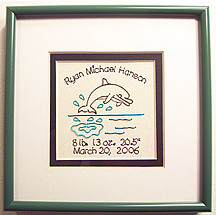 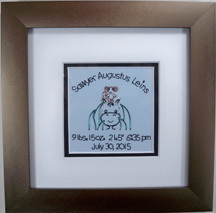 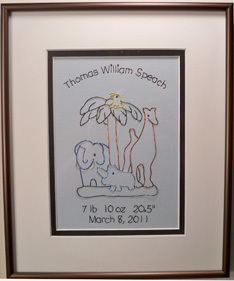 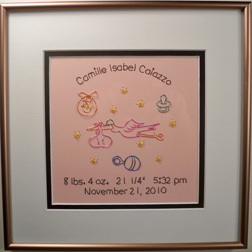 Births - The standard birth announcement is the stork picture and it is usually done with pastel wires on a pink background with a frosted bronze frame for the girls and a blue background with a frosted pewter frame for the boys unless you specify other colors. 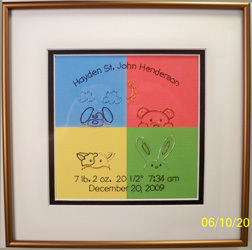 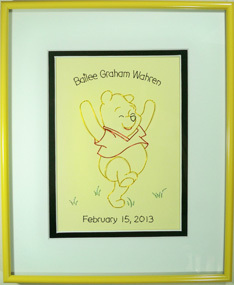 Other ideas are shown below if you want to try to match a theme or colors in the baby's room by emailing me a photo. 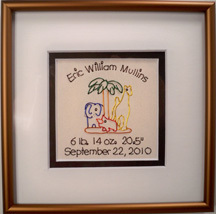 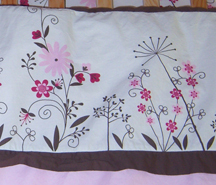 You can e-mail me a picture of the crib bedding (or tell me where to see it on the internet) to use as the picture in the birth announcement.